How can choreography be made for a space that contains screen space and live space? Can this become a hybrid mode of performance space? The writing will examine the conventional uses of space between dance choreographed for the stage and dance that is made specifically for screen work. The essay is concerned with Castree’s core choreographic focus: exploring the potential of fusing the live space and screen space. Through the analysis of work by Merce Cunningham, V-tol Dance Company, Philippe Decoufle and Jane’s own practice, the writing will look at what happens when these two formats meet and what the ramifications are in the act of choreography. Staying with the archive, Jane will tap into the resources the loft has to offer. Drawing specifically from Cara’s books, previous research experience and the notes catalogued in her project files, Jane hopes to extend her own research within a new critical and performative platform, aiming to identify, question and debate areas of performance space theory and screen space theory that are pertinent to her writing exploration. 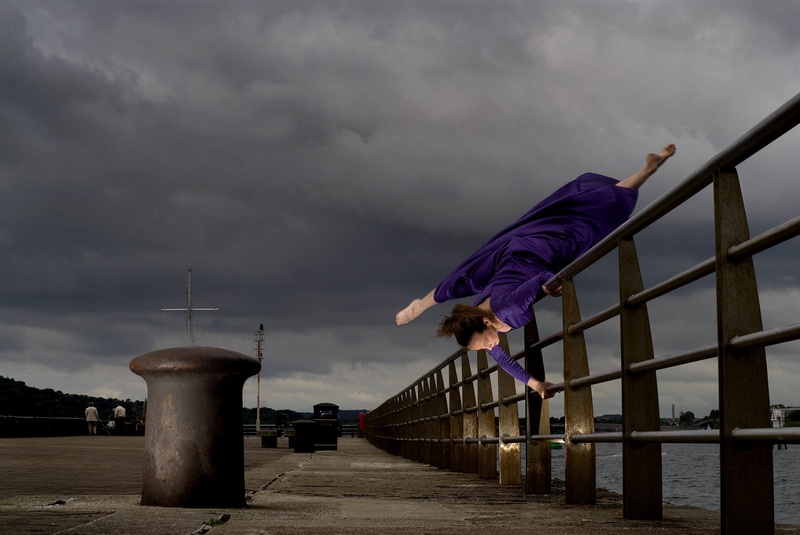 Jane Castree completed her undergraduate degree at London Contemporary Dance School and studied for her MA in Choreography at Dartington College of Arts, where she collaborated with sound designer Luke Robinson to make ‘Notions in Space’. Jane’s choreographic commissions include ‘Influences Via Sound’, which was created on the first year foundation degree students at Newcastle College and ‘Viewing You’ which was co choreographed and performed with Kuldip Singh Barmi at the Barbican Theatre, Plymouth and as part of Flushing Arts Festival, in Cornwall. Jane has also made work for Wheelfever Projects and Cornwall Youth Dance. Jane’s dance for screen work ‘Views on Occlusion’ was premièred at The Cornwall film festival and is currently being screened on the twenty BBC Big screens around the country. Jane is an Associate Artist at The Barbican Theatre, Plymouth and her recent choreographic work explores approaches to combine mediated and real space within a performance context, and inquires into perspective, perception, ambiguity, fragmentation, assumption, illusion, scale, film, occlusion, angle, viewpoint and space.